20,000 km in 10 days. Since my last post, I’ve travelled with Team Canada to the UK (from the Northern HemisFear tournament to Birmingham boot camp), back to Montreal, and after just one day at home, west to beautiful Vancouver for the MRDA playoffs. In the span of a week and a half, I travelled a little over 20,000km! Not only was I on the road constantly, but now I also have to adjust from being a National Team Coach to an athlete heading into playoffs. Even though I had a great time, the last week and a half has definitely taken its toll on my physical body, my mind, and my emotions. So it seems fitting that this week’s topic is Avoiding Burnout! We push our bodies and minds out of our comfort zones in order to grow and develop as athletes. If being an athlete was easy, everyone would be surpassing boundaries within a sport! Sports can be positive and fun, but sporting environments definitely have their stresses: like the strain a bout can take on the body, or the mental pressure of a new challenge or obstacle. If an athlete doesn’t have adequate coping strategies to manage or counter stress factors, the stress will wear them down physically, mentally, and emotionally. The more an athlete becomes drained, the higher the chances of an athletic burnout. The good news is, athletes can overcome these stressful moments via coping strategies! This Mental Muscle post is all about athletic burnout: understanding its cause, and strategies for living a more balanced life. Athletic burnout is more than just needing a break from practice and competition. It’s when your body has reached its limit and is unable to cope with the stress in the athletic environment. Burnouts can attack both your physical and mental state: from physical exhaustion to a lowered self-worth and detachment from your performance. It’s important to know that burnout develops over time, and the symptoms can escalate or change. I’ve seen great athletes leave their sport after burnout: from an early retirement to taking an extended leave of absence. These athletes had the potential of going far in their sport, but the stress weighed them down too much. 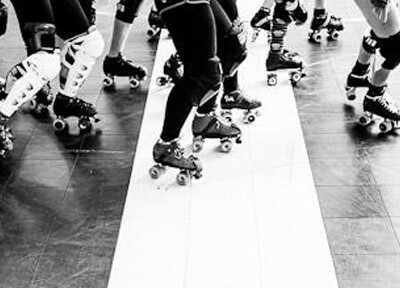 We know roller derby is a tough sport with its own stresses, so let’s not be blind to that fact. To keep us fit and the game fun, It’s important to develop coping strategies to counter these stress factors. Here are some coping strategies that can help reduce the stress that could lead to burnout. Personally, I fell in love with the physicality, mixed with the strong strategic component of the game. There is no other game that provides the challenge of playing offense and defense at the same moment. It’s like an aggressive game of chess. One move can impact the entire jam. To stay engaged, it’s important to reflect on more than just the reason you started playing though: you must find the joys within your performance, day to day! After every practice and game, find the moments that were positive. Even if you didn’t perform your best, find highlights from your performance or from your team. Look for the good and remember why you love this sport. Doing so can help you keep a positive frame of mind. The way you speak about yourself also has a huge impact on your frame of mind. Positive self-talk can help you cope with stress by staying positive and focused on key elements of your performance. Your body is a machine, and you can’t expect a machine to run smoothly without any maintenance. It’s important to replenish your body through rejuvenating activities. These activities are not only good for the physical body, but they have a positive impact on the mind, too. The type of activity will always depend on your individual needs and preference. Time management puts control back into your hands. Make a monthly schedule. 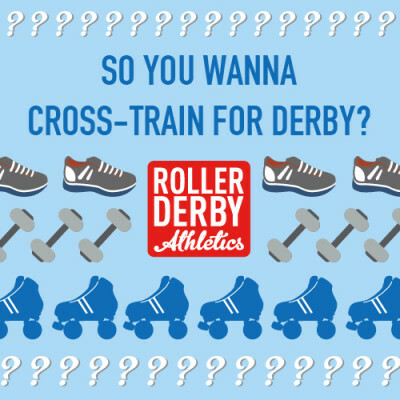 Write out all of your obligations that need to be met, including your obligations outside of roller derby: practices, team meetings, training sessions, work obligations, appointments, down time (rejuvenating activities), etc. Know your limits! Be flexible and realistic. Sometimes it’s hard to say ‘no’ to others and to yourself. Learn your own limits and gain a better understanding of what you can take on and what you can’t. This helps remove some extra stress. With strong time management skills, your can book in that time for rejuvenating activities! Burnout involves a feeling of detachment and isolation. 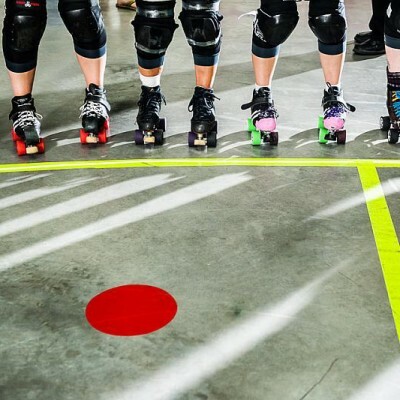 Having strong relationships can help when dealing with stress inside the roller derby environment. Reach out to your teammates, league mates, and coaches. Build on these relationships and use these supportive people in your life as a coping strategy to reduce any unwanted stress. Picture your peak performance as the top of a mountain. You want that peak to be the highest it can be, but you can’t have the tallest mountain on an equally small base. The bigger the base of your mountain, the higher and more stable your peak can be. The base of the mountain represents living a positive, balanced, and healthy life. You can’t push yourself to grow and develop as an elite athlete if you’re not taking care of yourself as a human being. Take a moment to connect what is around you daily. Sometimes we have our “eyes on the prize” all the time. Try to take in the environment around you and see the beauty in nature. Appreciate what is right under your nose, too – from a wide perspective to the small details. We are human, and we have a need to be social. Connect with the people around you. Every day try to have one conversation where you’re not distracted by electronics. Put away your phone, turn off the TV, or step away from the computer. Focus on the person in front of you and their conversation. Laugh, cry, share. Making this connection is great for strengthening your focus, and more importantly it helps strengthen the relationships within your social support networks. Finding your achievements will help you keep a positive mind set. Even though we love roller derby or sports in general, it’s still only one aspect of who you are. Remember that your self-worth is not based solely on what you do on the track. Acknowledge daily goals that you have achieved, challenges you’ve overcome, or the completion of tasks. You’ve seen it in your friends and teammates, and probably even in yourself at some point: burnout can have a harmful impact on your well-being. It can also cause you to withdraw from the sport you love. Hopefully with awareness and these tips in your pocket, you can develop your own coping strategies, and remember to enjoy every moment! How do you deal with burnout when it rears its head? Post below in the comments and let’s continue the conversation.